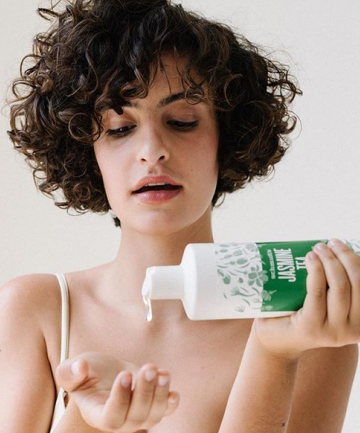 If you're tired of getting skin flare-ups from liquid body cleansers but don't want to quit them just yet, here are 10 gentle body washes agreeable with sensitive skin. Nothing is more horrifying and frustrating than trying out a new body wash you were excited about only to break out in hives or pimples a couple of hours later (or even worse, immediately) after leaving the shower. Most people have this experience from time to time with a product that's clearly not agreeable with their body chemistry. If you have sensitive skin, it's even more common since many cleansers on the market have harsh ingredients known to cause noticeable adverse reactions. So what's a person to do? While it may be easier to just stop using body washes outright, you don't necessarily have to when there are gentle options that won't cause your body to freak out but are still moisturizing and won't leave you with dry, crackly skin. If you're tired of getting skin flare-ups from liquid body cleansers but don't want to quit them just yet, here are 10 gentle body washes for sensitive skin.